The Erasmus+ programme run by the EU commission aims to boost skills and employability, as well as modernising Education, Training, and Youth work across Europe. Erasmus+ provides opportunities for over 4 million Europeans to study, train, gain work experience and volunteer abroad to foster exchange and mobility between EU citizens. Volunteering Matters has a number of strategic partnership projects funded by Erasmus+. The projects include Key Action 2 Strategic Partnership Projects for youth and adults, as well as other projects focusing on cross-border mobility of young people. You can find out more about these projects via Volonteurope’s website, or read the short summaries below. This project will be working on political approaches on the local level for young people at risk of social exclusion. Its aim is to engage with youth workers using resources, techniques and concepts learned from the field of social environment and social care. The project aims at involving young people at risk of social exclusion, socially disadvantaged and marginalised young people through professional youth work in democratic participation processes using social environmental resources to tackle social exclusion and socio-economic disadvantages. Find out more on the project website here. 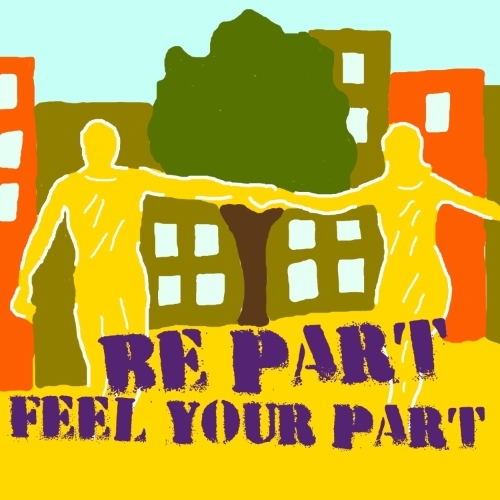 Be Part, Feel Your Part is co-funded by the Erasmus+ Programme of the European Union. 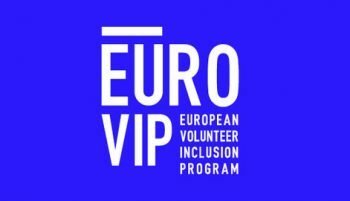 The ERASMUS+ Project European Volunteer Inclusion Program (EuroVIP) aims to strengthen the recognition of skills and competences acquired by young adults (17-30 years old) during volunteer activities and to promote them as valuable for their entrance into the labour market. The project has created three useful guides. The first one is the Portfolio for Volunteering experiences – Based on the ProfilPASS, a portfolio for self-evaluation to support young volunteers to self-evaluate and self-reflect on their abilities and skills developed while volunteering as possible pathways towards employment. The second guide Volunteering Experience as a step towards Employment. A practical guide for recruiters aims at providing support for recruiters to recognise and value skills and competences developed through volunteering. While the European best practices handbook in supporting young volunteers to sustainable employment offers an overview of good practices present in the different countries involved in the project. The project was made possible due to the financial support provided by the ERASMUS+ Programme of the European Union and has been implemented by a consortium of 5 organisations: Face (France); POUR LA SOLIDARITÉ (Belgium); Volum Federation (Romania); Visamar (Germany) and Volunteering Matters (UK). Volunteering is a really great way for people to participate in their community and also helps them to gain employability skills, but it is also true that employers often find this sort of experience hard to judge and fully appreciate when they are recruiting and selecting candidates for jobs. Job Bridge centres on pathways to employment for volunteers – and how to validate their skills and experience to be as attractive as possible to employers. Job Bridge is a project involving eight European partners from Germany, France, Bulgaria, Italy, Spain, Belgium and the UK. This project has been funded with the support from the European Commission, and is co-funded by the Erasmus+ Programme of the European Union. Current developments across Europe have raised worries about a destabilization of Europe: the rise of populist and nationalistic parties in a number of member states, who propagate Eurosceptic and illiberal policies, fears of terrorism and crime fueling xenophobic and islamophobic sentiments. A negative attitude towards refugees, migrations and integration is becoming normal. Racism, xenophobia & anti-Semitisms is growing. Also growing citizens’ alienation and disillusionment with mainstream politics is detectable, their feeling of being left out and a decreasing sense of empowerment is driving many people to lose faith in “the system”, toward extreme political choices and re-nationalisation. All over Europe trust in EU partners and its institutions has declined. These developments show the immediate need for change: Citizens’ active participation becomes increasingly significant, they need to play an active role in democratic life and to fight for inclusive, cohesive and solidary societies. Therefore, education, training and youth work are key to promote common European values, foster social integration and enhance intercultural understanding and a sense of belonging to a community and to prevent violent radicalization (European Commission 2017). In order to cater to these needs, partners from 9 European countries have created the partnership “WAKE UP! Young Europeans becoming Change Makers for a better Europe”. We strongly believe that the engagement of youth is essential to achieve sustainable human development, and that young people can be the driver of change. Young people are an important part of European society, and as the Treaty on the Functioning of the European Union emphasizes, it is important to encourage them to participate in the democratic life of Europe, and aim which is also a priority Erasmus+: Youth in Action programme. And young people are most likely to be mobilized, as polls revealed that when compared with older age groups, young people are less hostile to the EU, more tolerant of immigration, and more likely to feel that the EU had been successful in securing peace across the continent. And young people are already change makers in some areas, such as social media, blogging, online video and mass group protests – young people have a huge impact trough these channels of communications. Our main target group is young people (16 – 25 years), including migrants, refugees and people from disadvantaged backgrounds). They should become active citizens and “makers of positive changes” at least on community level. Partners will support the capacity building of young people and youth workers/educators by developing new ways of outreach work and training for young people. They will develop a “Wake up!” training with several specific modules (e.g. political involvement, the promotion of European and democratic values, critical thinking, social inclusion) for youth workers/educators, and one peer-educator training on the same topics. The project aims to have an impact in various ways: young people hear the “WAKE UP!” call, become more active and hopefully make a difference in a positive way. They will have an impact on society, as their own projects, initiatives, activities, and events will successfully tackle problems existing on local, regional, national or European level. Hopefully through their work, the PR work, and their active involvement, the ideas, opinions, solutions of young people will be heard by decision makers on local, national and international level and will matter. The potentially huge source of talent, innovation and energy for change of young people should be used more effectively in the future. It will lead to an improved quality in education, training and youth work in Europe, especially in the field of development of civic competences of young people. And all the young people involved will become agents of change for shaping our future for a better Europe!